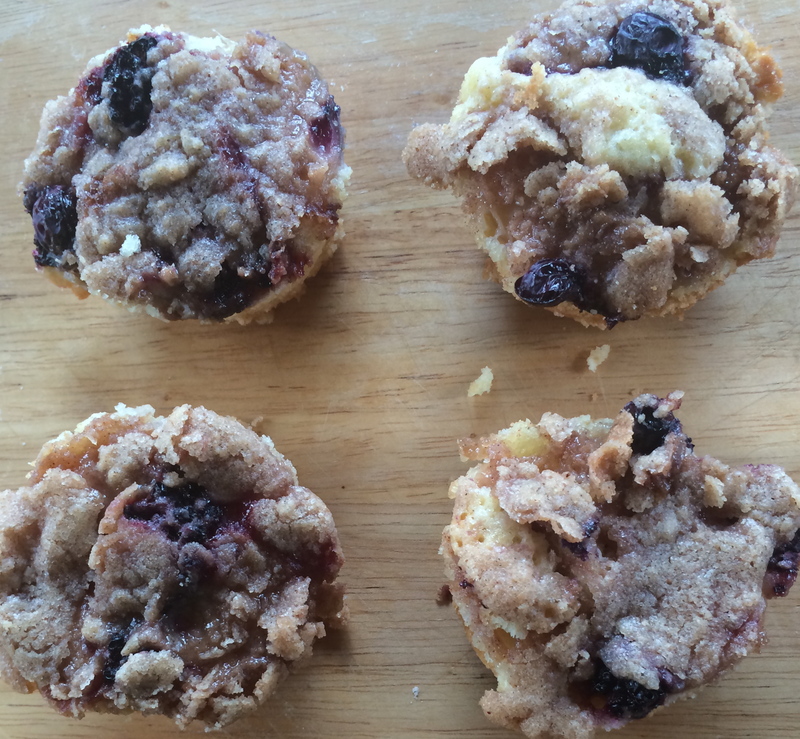 I was originally going to make a coffee cake stuffed filled with berries, but then I didn’t have the right pan so instead, I made them into muffin form. It was a great compromise. 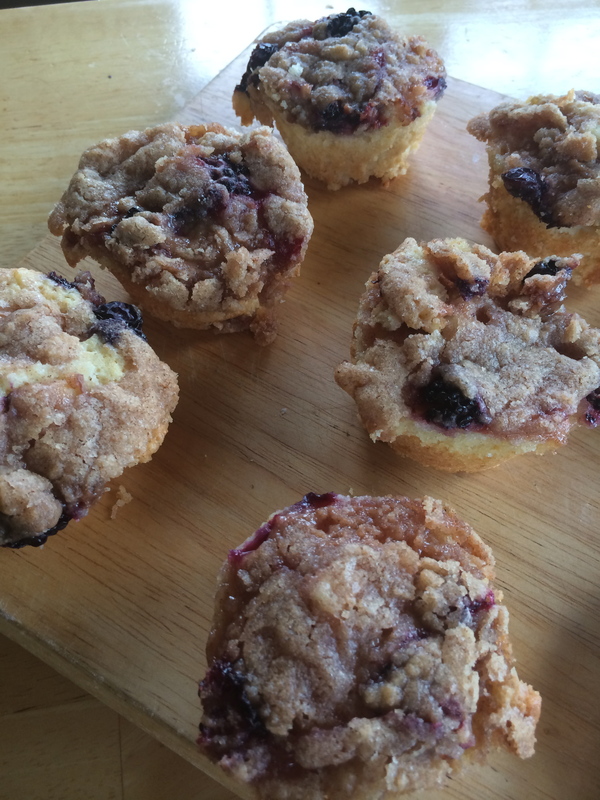 These guys have a coffee cake base, a layer of peaches and some blackberries and blueberries, and then they were stuffed to the brim with streusel topping! 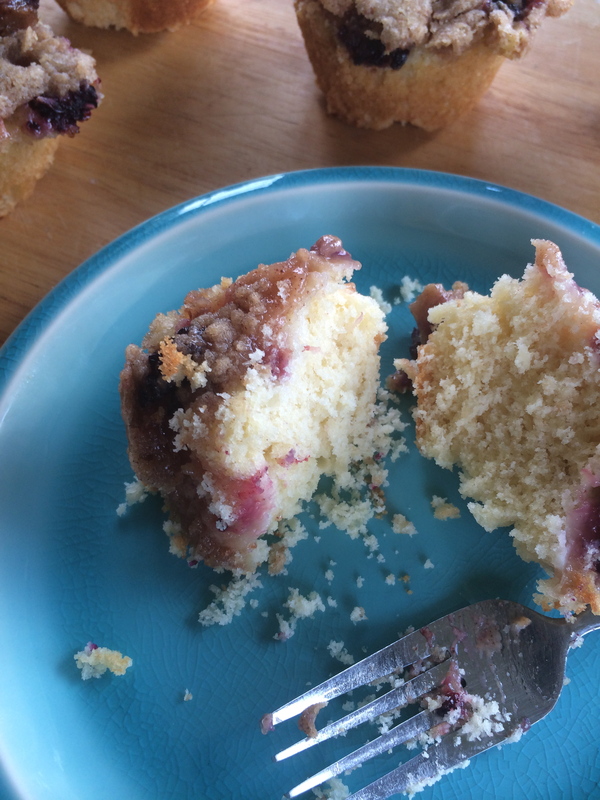 They’re super moist, super fruity, and super fantastic with coffee! The streusel topping adds another layer of sweet and a fantastic cinnamon crunch. Plus, they’re in mini form which just makes them the cutest. Beat together your butter and sugar. Add in the eggs one at a time until incorporated. In a separate bowl, mix together your flour, baking powder and salt. Alternating with the milk, add in your flour mixture to your butter mixture until it’s all incorporated. Finally, add in your vanilla. Fill your muffin tins about 1/2 fill with coffee cake filling. Sprinkle peaches, blackberries, and blueberries over the top of all of the cakes in their tins. Finally, crumble your streusel topping over the whole thing! Make sure you don’t fill the muffin tins to the top, they rise a bit. Bake for 30-35 minutes and let cool completely before flipping the pan upside down and catching your muffins. Enjoy with a great cup of coffee!